The upcoming CeBIT in Hannover, Germany, recognized as one of the world’s three largest IT exhibitions, is expected to be the perfect venue for Korean IT companies seeking business chances to elevate their presence in attractive global markets. CeBIT is fast approaching with this year’s theme of D!conomy, a portmanteau word of ‘digital’ and ‘economy.’ Under this theme, the 2015 CeBIT, as a business-oriented trade fair, is going to feature the latest developments and products focusing on big data, Internet of Things, security, cloud and mobile technologies by companies in unparalleled breadth and depth for all participants including Korean IT makers. In this context, Korean exporters specialized in such industrial areas will confirm their competitiveness in line with such emerging and intensified trends of IT development and find challenges that lead to a higher level of position by which market leadership across various areas of converged IT sectors led by Korean companies is for the time being created. Together with at least 3,000 exhibitors from other nations, Korean companies will also unveil their state-of-the-art products equipped with competitiveness sufficient to fully compete with those from other countries, reflecting the global market trends. Korea’s largest IT company Samsung Electronics plans to use this CeBIT as a place to strengthen the capacity for the B2B market, with various latest cuttingedge items. KOTRA and some domestic agencies will also set up the Korean Pavilion for Korean enterprises. [INQ. NO. 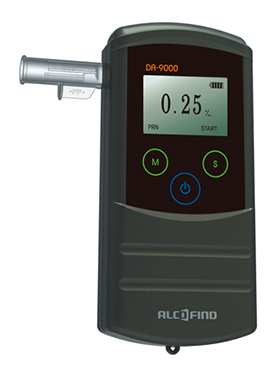 1502E04] Since 2002, DA Tech has been at the forefront of digital breathalyzers (alcohol testers) both for personal and professional use. With accumulated experience, expertise and cutting-edge technology, DA Tech is committed to becoming a global leader in the breathalyzer business. leading manufacturer of quality products. For this year’s overseas marketing, DA Tech has especially prepared its AF-i1 model, a most competitive model among its flagship Alcofind’s new product line. It is a breath-alcohol measuring instrument with a vehicle ignition system. The solution helps determine whether or not to permit the driver to release the vehicle’s starter with a breath alcohol sample. It shows prominent capability in sensing the temperature and humidity of breath samples to prevent the manipulation by using another instrument. To prevent the starting of a vehicle without an accepted test, it also effectively senses the vehicle engine. With this solution, every relevant event is well recorded in the product, and 200,000 log data can be stored in both handset and control box. It allows easy data download, so data can easily be downloaded from either way – handset or control box, which enables driver to easily transfer the data from removable handset to PC at offices or any places. The AF-i1 is designed to work perfectly from -40 degrees C to 85 degrees C, which allows use under severe winter conditions or extremely hot conditions. [INQ. NO. 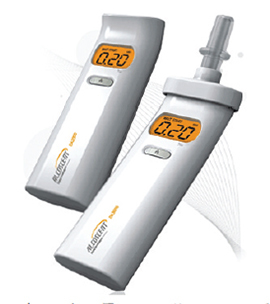 1312E21] Since it started business in 2002, DA Tech has been at the forefront of digital breathalyzers (alcohol tester) both for personal and professional use. With accumulated experience, expertise and cutting-edge technology, DA Tech is committed to becoming a global leader in the breathalyzer business. The company’s first priority in management has been to ensure the safety of those who use its products and solutions. 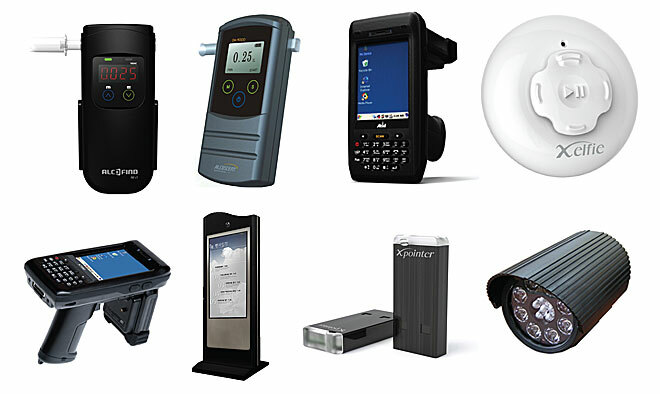 For more than a decade, DA Tech has been a leading manufacturer of quality products. 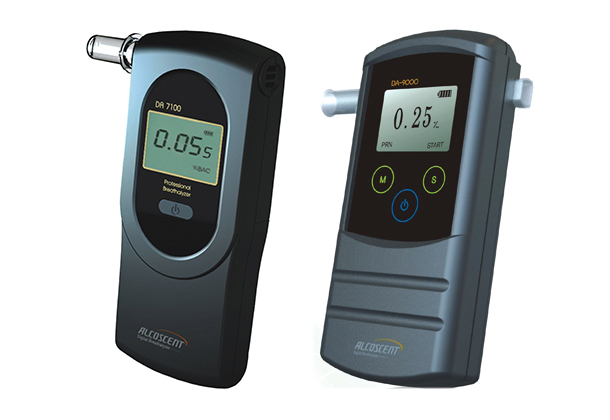 DA Tech’s various models of digital breathalyzers are marketed under the brand name of “ALCOSCENT.” The company’s relatively latest digital breathalyzer model of DA-7100 is for a personal & professional use alcohol tester with extremely high reliability. It can be used in hospitals, schools and many other segments. It also features a self-diagnostic function for the sensor that lets the user know the ight timing for recalibration. It estimates B.A.C (Blood Alcohol Content) in human breath by means of a fuel cell sensor which is highly durable and provides accurate breath alcohol test results. 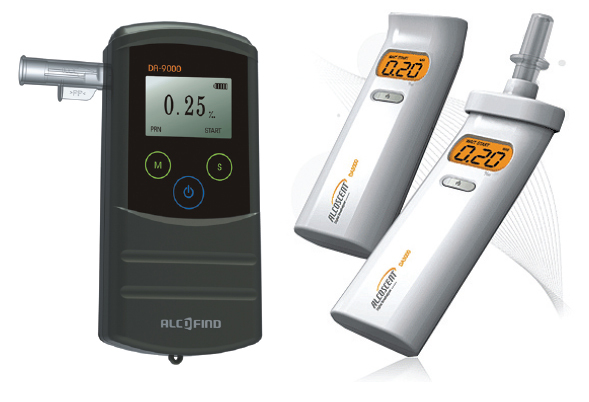 Another flagship alcohol tester DA-9000 is the most advanced professional alcohol tester with extremely highreliability. It can be used by police, trucking companies, hospitals, schools, and many other sectors. It measures B.A.C (Blood Alcohol Content) in human breath by means of a fuel cell sensor comprising highly durable sensors, thereby providing accurate breath alcohol test results. The key feature of the model is available in test data management and user settings with users’ PCs. It also provides 250 test result memory and instant wireless printout via IR port with optional portable printer, allowing the user to experience the state-of- the-art fuel cell sensor technology. After receiving approval from the Food and Drug Administration in the United States, the Korean manufacturer has started speeding up its efforts for expanding the global presence of its range of digital breathalyzers through exporting to 25 nations, including North America, Europe, Japan, etc. based upon the solid recognition it has gained in the Korean market. With average annual exports amounting to US $4million, the company is mostly focusing on its export drive in North America and North America. Since it started business in 2002, DA Tech has been at the forefront of digital breathalyzers (alcohol tester) both for personal and professional use. 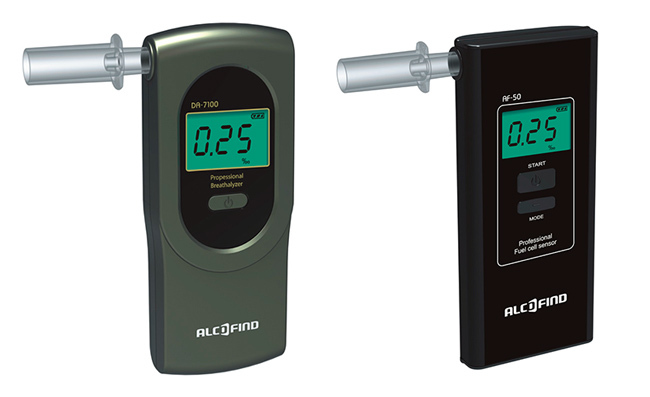 DA Tech’s various models of digital breathalyzers are marketed under the brand name of “ALCOFIND.” The company’s relatively latest digital breathalyzer model of DA-7100 is for a personal & professional use alcohol tester with extremely high reliability. It can be used in hospitals, schools and many other segments. It also features a self-diagnostic function for the sensor that lets the user know the right timing for recalibration. It estimates B.A.C (Blood Alcohol Content) in human breath by means of a fuel cell sensor which is highly durable and provides accurate breath alcohol test results. 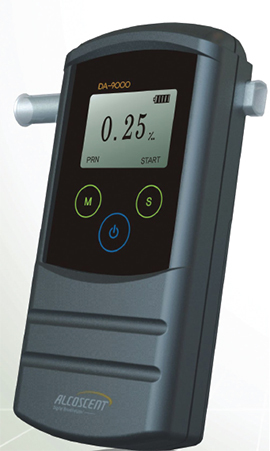 Another flagship alcohol tester DA-9000 is the most advanced alcohol tester with extremely high reliability. It can be used by police, trucking companies, hospitals, schools, and many other sectors. It measures B.A.C (Blood Alcohol Content) in human breath by means of a fuel cell sensor comprising highly durable sensors, thereby providing accurate breath alcohol test results. The key feature of the model is available in test data management and user settings with users’ PCs. It also provides 250 test result memory and instant wireless printout via IR port with optional portable printer, allowing the user to experience the state-of-the-art fuel cell sensor technology. [INQ. NO. 1302E01] Since it started business in 2002, DA Tech has been at the forefront of digital breathalyzers (alcohol tester) both for personal and professional use. recalibration. It estimates B.A.C (Blood Alcohol Content) in human breath by means of a fuel cell sensor which is highly durable and provides accurate breath alcohol test results. The key feature of the model is available in test data management and user settings with users’ PCs. It also provides 250 test result memory and instant wireless printout via IR port with optional portable printer, allowing the user to experience the state-of- the-art fuel cell sensor technology. After receiving approval from the Food and Drug Administration in the United States, the Korean manufacturer has started speeding up its efforts for expanding the global presence of its range of digital breathalyzers through exporting to 25 nations, including North America, Europe, Japan, etc. based upon the solid recognition it has gained in the Korean market. With average annual exports amounting to US $4million, the company is mostly focusing on its export drive in North America and North America. • DA Tech Co., Ltd. If you want more information about ‘ALCOSCENT’, please contact us.